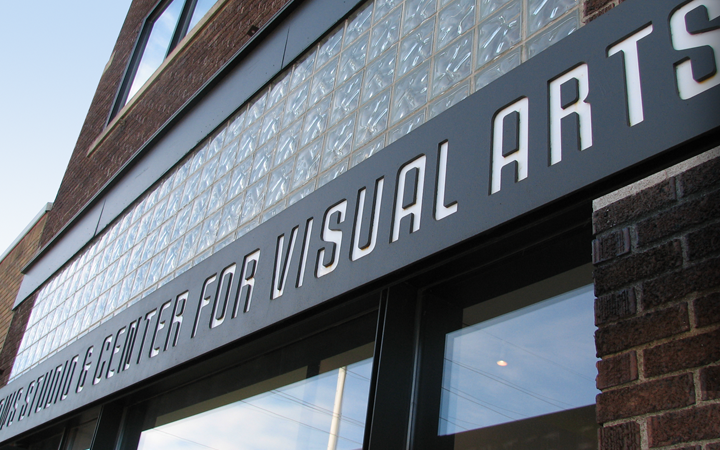 An identity built on one artist's legacy introduces Omaha to a new art mentorship organization. An artist’s legacy inspires a new generation. 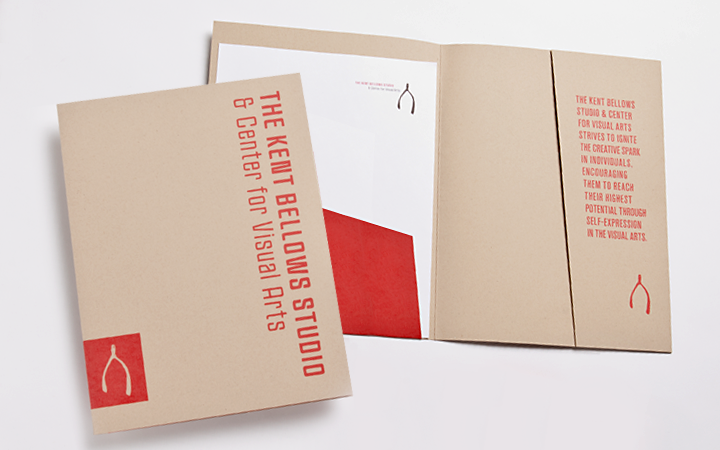 The Kent Bellows Studio & Center for Visual Arts (KBS) is an art mentorship organization for high schoolers. We created a full brand identity for KBS that—like the organization itself—has its roots firmly planted in the legacy of the realist artist, Kent Bellows. As a new organization, KBS approached us to help them define their voice and introduce themselves to Omaha. The challenge was heightened by an economic downturn and drastically reduced arts funding. 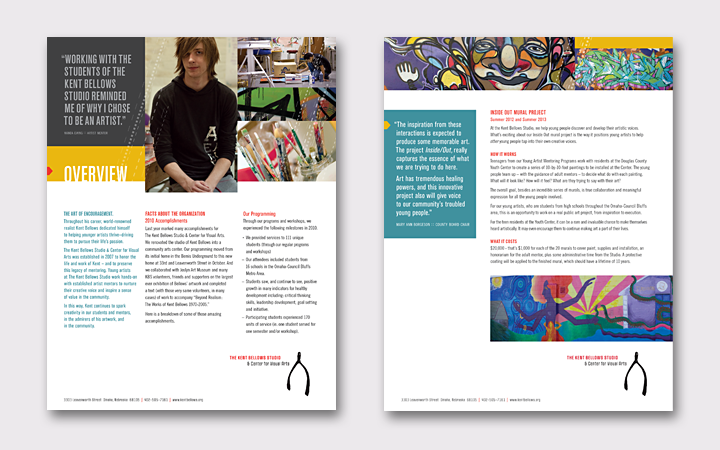 Developing a memorable brand and fundraising message that would resonate with art supporters and potential donors would be key to their success. 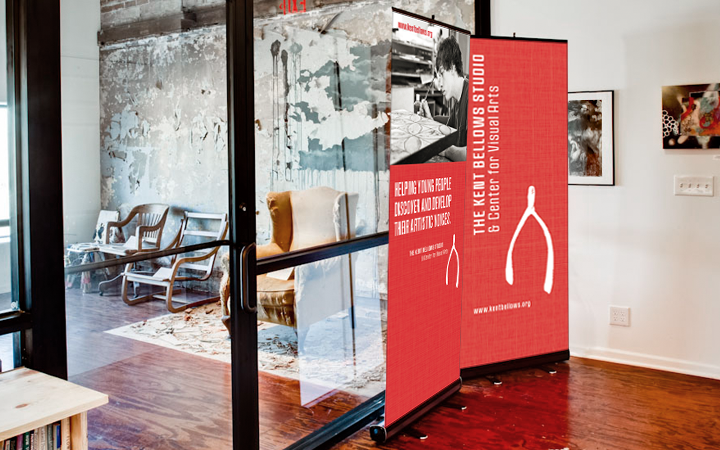 We’d never created a brand for an organization whose namesake was no longer living. 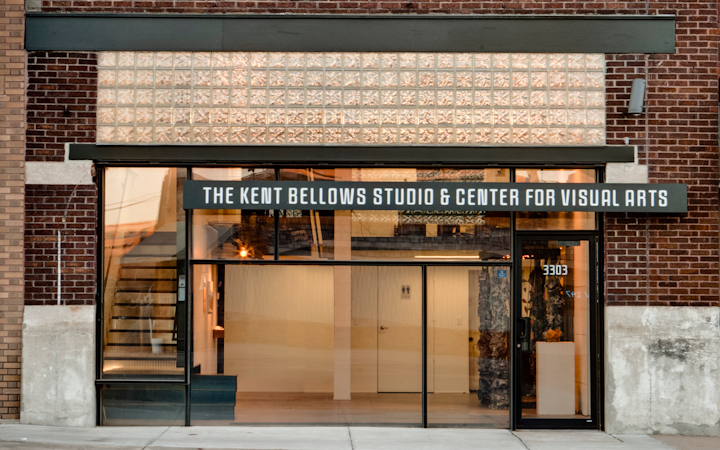 Understanding Kent Bellows as an artist and a person required many hours of conversations with his family, the KBS board and executive director. We immersed ourselves in studying Kent Bellows’ art and spent many days in his studio, which had been kept exactly as it was on the day of his death in 2005. Through our research, we discovered wishbones in numerous works. They were always small and tucked in odd places—not many people had noticed them before! This unique finding ultimately became the symbol that best represented the new organization in his honor. 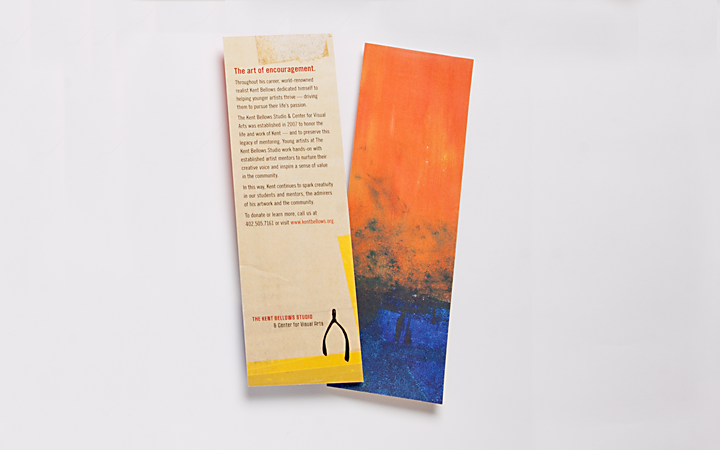 Artist’s materials became the visual accompaniments to support the website, signage, interiors and print materials. As with most start up organizations, there was a limited budget. So we created multi-use pieces that had a long shelf life and supporting items that could be inexpensively updated. 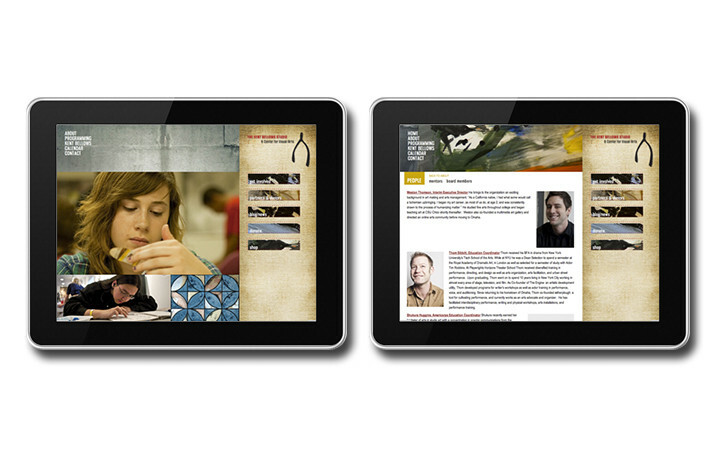 The flexible format also allowed KBS to easily customize the message to its different audiences. 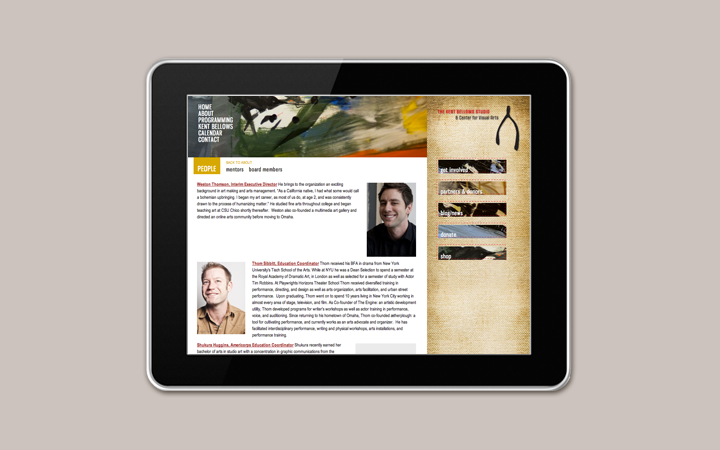 The website was set up to be a creative resource for the community and a hub for its students, mentors and volunteers. It has helped to establish KBS as an energetic, inspiring and trustworthy organization that is well-supported and attended by the community.